Some people realize early in life what this is and pursue it – sometimes to the chagrin of parents and other well-meaning adults. For example, my brother started writing songs and playing in bands when he was in middle school. To this day, he writes and records music and gives live performances. He can’t imagine any other life. When I went to college as an older-than-average student (I was 28 when I graduated), I wasn’t thinking much about having a vocation. I had a family and thought I needed a degree that would make us lots of money. Yet, I had a successful career in the software world. I made good money. I was challenged. I earned the respect of my co-workers. But it was not my passion, nor a vocation. Not until I got older (mid-30s) did I realize that in order to be happy, I needed to do work that contributed significantly to the greater good and that interested me. I thought about everything from sustainability coordinator to running a non-profit related to eliminating poverty to launching a social business that produced healthy school food. But nothing stuck. Due to my interest in school food, I decided to join our school district’s Wellness Committee last fall. I quickly became involved and started helping out with event planning, social media and PR. This helped me feel like I was making a difference, but I knew I needed to do something like this fulltime. One day, not too many months ago, I was sitting at the kitchen table (as I am now), thinking about wellness as illness prevention. I thought about the fact that doctors and nurses are trained to help sick people. Prevention shouldn’t require doctors and nurses. Because it’s really not that complicated. There should be an affordable way to learn about wellness and get support from a trained professional. Imagine my delight when I found out that such a profession exists! It is also known as “health coach.” Where do I sign up? I spent the last several months researching the best path for me to become a health coach. After talking to a friend who is currently in the program and reading the founder’s book, I decided to enroll in the Institute for Integrative Nutrition (IIN) starting in September. It is a year-long program which results in a holistic health coach certification. Further, I decided to become a Certified Personal Trainer through the American College of Sports Medicine (ACSM). I am interested in ways to improve wellness through movement, and I believe this will complement well the IIN certification. Finally, I decided to revive the simple living eBook that I started writing over 18 months ago and give it a wellness slant. This will be a great give-away for email list sign-ups and a chance for me to write about my combined passion – wellness and simple living. My resolutions for this month all relate to furthering my goals to follow my passion. Even though my course doesn’t start for another two months, I already have access to an amazing amount of resources in the IIN student portal. My goal this month is to review at least one lesson in the “Focus Class Library” every day (except Sundays). 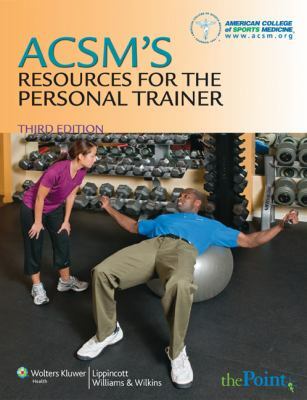 Yesterday, I received the study materials for the ACSM personal trainer certification. As soon as I’m done with this blog post, I’m going to create a study plan to get through the materials in eight weeks, so I can complete this certification before my IIN program starts. It’s aggressive, but I think I’ll be glad I did it. One of the Wellness Committee’s plans for the upcoming school year is to launch a website called “Change of the Month.” This is an idea I came up with when I was reading the book Switch about the psychology of change. The idea is that change is hard. Small, achievable steps is the best way to affect permanent change. Families will sign up to be part of the Change of the Month program and every month, we will focus on a small, wellness-related change. Ideas are cool, but executing those ideas are even cooler. The basic website is up, but there is content to write, promotional materials to create, and sponsors to line up. My resolution is to do some work on this project every day this month (except Sundays). I have several writing projects going on, so this resolution will help me move those closer to completion. But more than that, writing – especially about my passion – makes me happy. Discipline in writing is a wonderful thing, and this resolution will make that happen. Do you have a vocation? If so, what is it and how did you get there? Do you know what you’re passionate about? Is there a way you could make that your career? Success stories are welcome!